3 Bedroom Detached Bungalow For Sale in Sheffield for Guide Price £170,000. 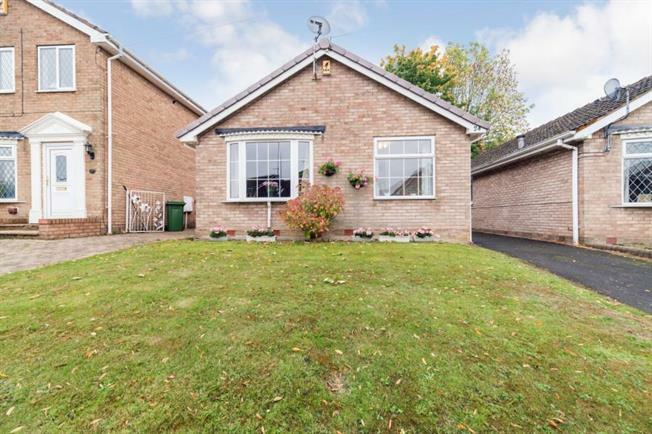 Occupying a sought after Cul-de-sac location in Eckington is this well appointed and presented three bedroom detached Bungalow with single Garage. Offered for sale with no onward chain. In brief the accommodation comprises; Entrance Hall leading to the open plan lounge/Dining room, Fitted Kitchen and Bedroom three currently being used as a separate dining room. The inner hall is accessed via the living room and leads to two further generous double bedroom and the shower room. The property stands in well maintained gardens with a generous drive and detached garage with further lawned front garden, to the rear is a landscaped enclosed garden with patio area and laid to lawn with raised borders and offering a degree of privacy.